Gujarat Secondary and Higher Secondary Education Board, Gandhinagar GSEB has conducted the secondary school certificate exams in March-April 2013. The exam results of Gujarat SSC 2013 will be declared on the official website of GSEB www.gseb.org, students can check their online on this website. 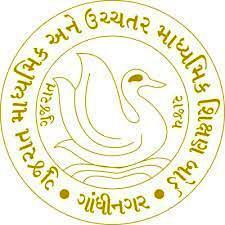 Gujarat board exam results 2013 have to be declared in the month of May 2013, just after 2 months of exams. Students appeared in this examination are eagerly waiting for the declaration of final results, please bookmark this page, we will update direct link to the official result page within few minutes of the final declaration of Gujarat Board SSC exam results 2013. Over 9 Lacs students was appeared in Gujarat secondary school certificate examination 2013 who’re waiting for their results. Click on the following link to view the official website of Gujarat secondary and higher secondary education board GSEB.